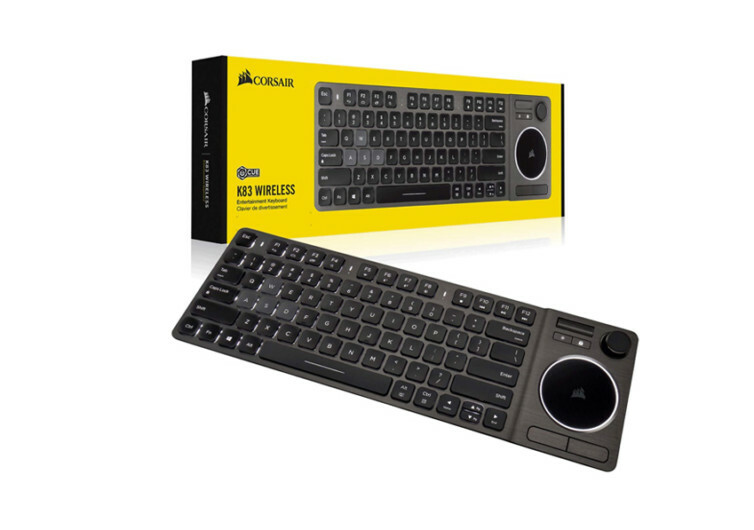 The Corsair K83 is a unique kind of wireless keyboard that can provide you with a different kind of gaming, streaming, and productivity experience. 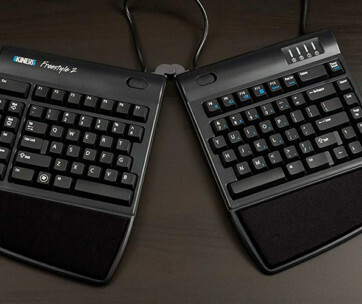 It has a conventional keyboard layout, but adds it with a number of innovations for improved user experience. There are two very unique features on the K83 that are quite rare. The first is an integrated touchpad. This gives the K83 a laptop feel to it. 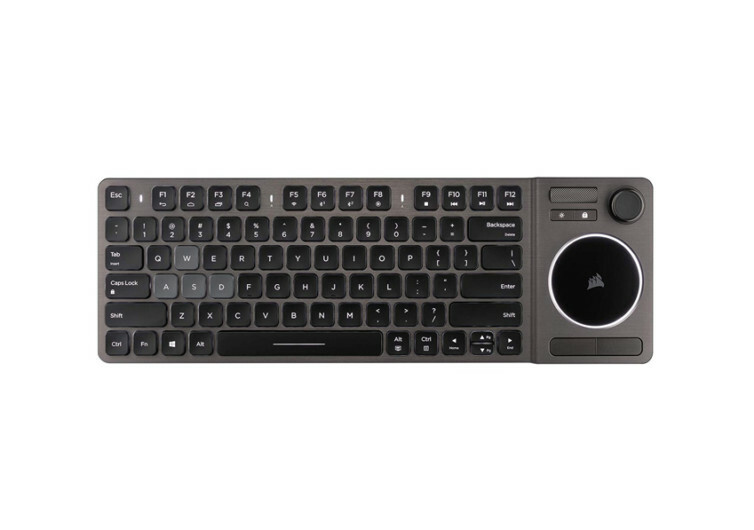 However, instead of taking the usual rectangular shape of laptop touchpads, the K83 takes a circular approach. The touchpad features settings that are tunable via the Windows 10 platform. Don’t expect a 10-finger gesture support, though. The touchpad, nevertheless, can support gestures of up to 4 fingers. The second neat feature on the K83 is an integrated joystick. 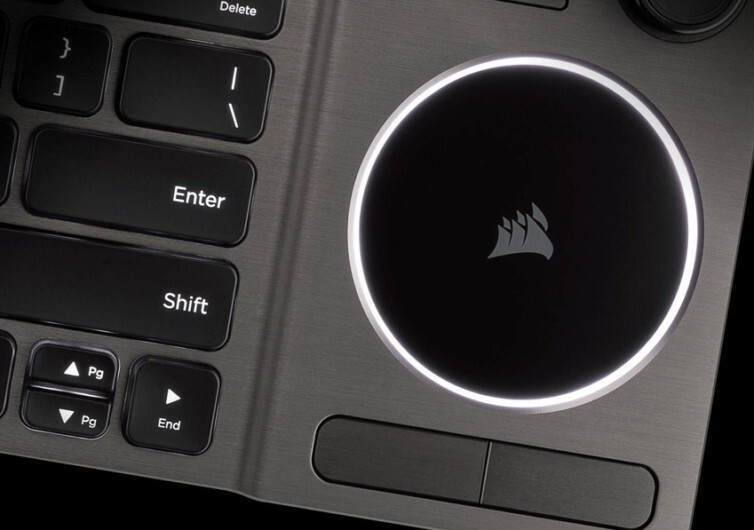 This element provides exceptional gaming performance. In addition to the joystick, the K83 also boasts of click buttons. 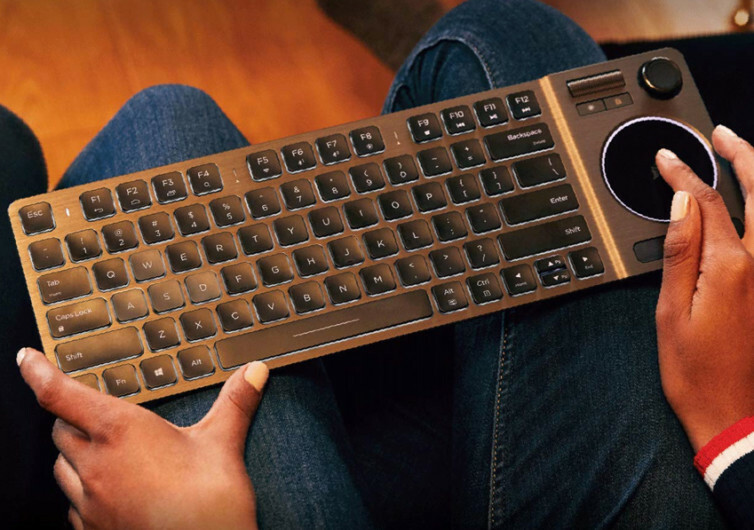 It’s like using your conventional gaming pad. The only difference, of course, is that the K83 only has a single joystick and a couple of click buttons. 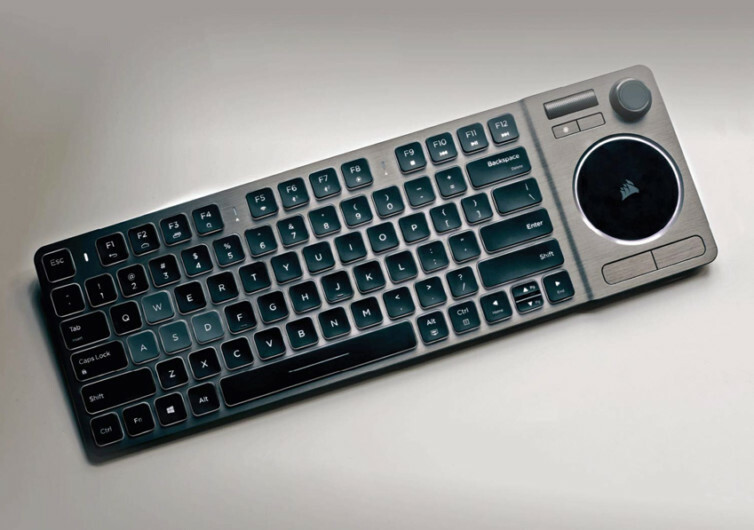 Nevertheless, these elements are things you don’t see in conventional keyboards. The K83 also boasts of a volume roller. The brand ditched the usual up and down buttons for managing the volume of any media the K83 connects to. The aluminum volume roller allows for more precise fine-tuning of your audio. It also comes with a press-to-mute functionality for instant silence in the room. There are two ways you can connect the K83 to your compatible devices. For most folks, connecting via low-latency Bluetooth is effortless. 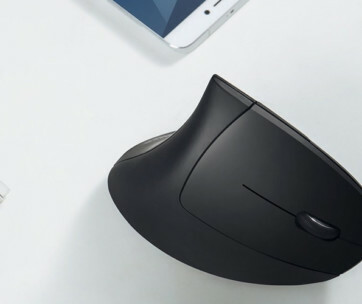 For some who may need a stronger connection, the lighting-fast 2.4 Ghz wireless technology is the answer. 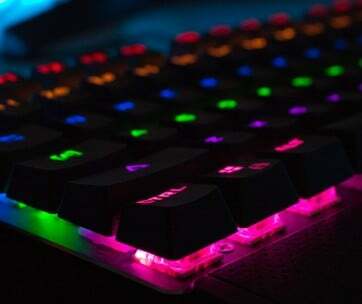 With a sleek design and fully-adjustable backlighting, the Corsair K83 is a multi-function keyboard for the modern techie. It’s fast, intuitive, and looks wickedly cool.